Posted: Thursday 17th April 2014 in Paid Media, Thought Leadership. Here at Summit we’ve been working with our clients to evolve their strategies and tactics at a furious pace to keep ahead of the mobile revolution. See our top tips below to ensure your mobile search strategy is set up for optimal effectiveness. If you don’t have a mobile optimised site, you’d better get one. Fast. Seriously, right now. This isn’t as much of a tip as it is a requirement; there’s no use in developing an effective mobile search strategy if you’re directing traffic to a site that takes eleven scrolls to get from left to right. If you are opted in to mobile bidding and you don’t have a mobile optimised site, you’re paying for ineffectual traffic with every click. Even if your smartphone visitors aren’t converting via their phones, they may use it to research and come back later to purchase via desktop. So if you’re reading this and you don’t have a mobile optimised site, stop wasting your time and go and write a spec. Now. You must be visible in the mobile search landscape. It sounds simple, but if you’re not opted in to mobile bidding you could be missing out on phenomenal amounts of exposure and traffic, not to mention losing potential leads to competitors. Emarketer predict that the number of mobile device search queries will actually surpass desktop in 2015. Econsultancy report 72% of the 500 businesses they surveyed reported more than 10% of their traffic comes through mobile devices. Let’s put it into context; in the UK, people are using their mobiles for internet shopping to the point where 19% of smartphone owners shop on public transport, 10% while in restaurants and 3% even do it in the doctor’s office (Brits’ shopping efforts will not be thwarted by the likes of a family meal or the common cold, clearly). Your desktop strategy won’t work for mobile. Google’s enhanced campaigns mean your tablet strategy mirrors desktop. However, mobile is an entirely different entity and should be considered as such. With 31% of smartphone owners using their phones for shopping ideas and inspiration, your usual transacting keywords aren’t going to be as effective on mobile. Therefore it’s important to gather data and learn about what works for you; experiment with different bid adjustments at as granular a level as possible. You could also consider different KPIs for mobile. Rather than measuring sales or ROI, you could look to measure time on site or average pages visited as an indicator of mobile users conducting research on your site. 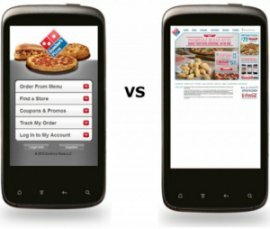 Show mobile users a mobile ad. This is another simple tip that mustn’t be overlooked. 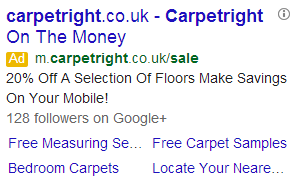 In the same way that your bids are customised for mobile, your ads should be too. Recognising that people are using a mobile device in your ad can be an indicator of what they can expect on your site – an easy to navigate, mobile site with quick and simple processes to be performed on the go. This can be as simple as ‘order samples on your mobile’. It’s especially effective if you have physical stores; you can use mobile preferred ads to encourage people to use the store locator and find out if there’s a store near their location, therefore driving footfall to stores (bonus tip: you can combine this with location targeting). If you’d like more detail on any of these tips or to know how to advance your mobile search strategies we’d love to hear from you. Contact Dave Trolle on 01482 876876.